Welcome to our lecture series. These are made possible in our effort to adopt more of a 360-degree view, we believe inclusivity will allow our visitors to draw their own conclusions of what it felt and meant to be a priest, a soldier, a Native American, a post-secularization Catholic, a man, a woman, or child of that time. In developing our more inclusive historical perspectives and interpretive efforts, we rely on such impressive advisors as Drs. Rubén G. Mendoza, Rose Marie Beebe, and Robert Senkewicz, all academics who have researched and published numerous books and articles on early California history. 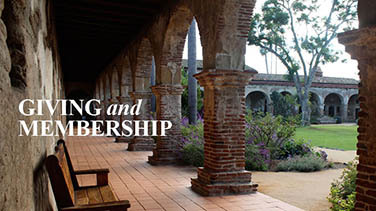 These highly regarded professors serving California universities are positively assisting Mission San Juan Capistrano in strengthening its meaning as a living site of history and ongoing site of worship. Rose Marie Beebe is Professor of Spanish literature at Santa Clara University and Robert M. Senkewicz is Professor of History at Santa Clara University. Together they have collaborated on a number of books on the history of Spanish and Mexican California including, The History of Alta California, Lands of Promise and Despair: Chronicles of Early California, 1535–1846; Testimonios: Early California through the Eyes of Women, 1815–1848; and “To Toil in That Vineyard of the Lord”: Contemporary Scholarship on Junípero Serra; and Junípero Serra: California, Indians, and the Transformation of a Missionary (University of Oklahoma Press, 2015). Their current project is on Mariano Guadalupe Vallejo’s five-volume “Recuerdos históricos y personales….” They are in the process of translating and annotating this very important manuscript. Beebe and Senkewicz have received numerous teaching and scholarship awards at Santa Clara University. In 2015 they were recognized with the University Award for Sustained Excellence in Scholarship. They have also received awards from The Bancroft Library, the Historical Society of Southern California, the California Mission Studies Association, the California Council for the Promotion of History. Beebe received a year-long fellowship from the National Endowment for the Humanities for the Vallejo project. Dr. Rubén G. Mendoza is an archaeologist, writer, photographer and founding faculty member of the California State University, Monterey Bay. In addition to his role as Chair of the School of Social, Behavioral and Global Studies, he has directed major archaeological and ethnohistorical investigations on the Colorado Front Range west of Denver, and at missions San Juan Bautista, San Carlos Borromeo, San Miguel Arcángel, Nuestra Señora de la Soledad, and the 16th century Ex-Convento de la Concepción in Puebla, Mexico. 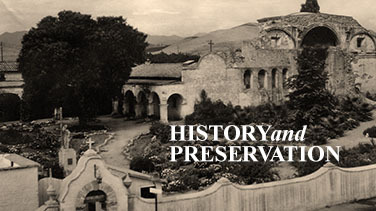 His efforts on behalf of the Royal Presidio Chapel Conservation Project of Monterey resulted in the discovery of the Fray Serra Chapel of 1770, and that of 1772. Given their significance as the earliest Christian houses of worship on the Pacific Coast of the US, his efforts were awarded the California Preservation Foundation “Preservation Design Award” for 2009. He has published over one-hundred and sixty professional articles and books, as well as reviews, commentaries, and scores of published images spanning pre-Columbian, Colonial, and California missions’ era art and architecture and solar geometry, American Indian science, technology, and medicine, and modern material cultures. 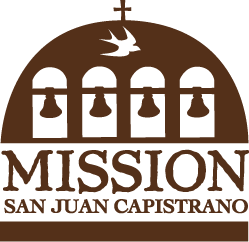 As Project Manager to the San Juan Bautista Mission Conservation Program, Mendoza was charged with professional oversight of the mission restoration effort documented in “Archaeology and Community Service Learning at a California Mission, 1995-2008” (2009). He recently served as a consultant and content expert for the National Park Service (San Antonio Missions National Historical Park) UNESCO World Heritage List application process. His publications include The California Missions Source Book (2009), Latin American Indigenous Warfare and Ritual Violence (2007), North American Indigenous Warfare and Ritual Violence (2007), The Ethics of Anthropology and Amerindian Research (2012), Feast, Famine or Fighting? Multiple Pathways to Social Complexity (2017), and recently, Rizzoli’s The California Missions with photographer Melba Levick (2018). He was the recipient of the 2011 NEH Summer Institute for College and University Teachers, American Material Culture:Nineteenth-Century New York , and said program prompted his development of the first-ever National Endowment for the Humanities Landmarks of American History and Culture: Workshops for School Teachers program devoted exclusively to the study of the California missions, and titled The Fourteenth Colony: Native Californians, Missions, Presidios, and Colonists on the Spanish Frontier, 1769-1848. Professor Mendoza was most recently awarded a fellowship to participate in the NEH Summer Institute on “Pictorial Histories and Myth-Histories: “Graphic Novels” of the Mixtecs and Aztecs” convened in Oaxaca, Mexico, in the summer of 2014. In April 2015, he was invited to serve as an expert witness before the Serra Symposium convened at the Augustinaeum in Rome, and on May 2nd was invited to partake of a Pontifical Mass and tribute to the Blessed Junípero Serra with Pope Francis and the seminarians of the Pontifical North American College in Vatican City.